Born in Hong Kong but raised in Canada, Carmen first earned her Asia Pacific Management Diploma knowing she will be back in Hong Kong one day. She then later earned her degree majoring in Psychology. After graduation, she continued working in Canada as a Resolution Specialist with AT&T Wireless where she gained her experience in customer service, knowing the needs of her clients and customers. Carmen decided to come back to Hong Kong to pursue a career in the real estate industry and she has been in the field for almost 10 years. Having lived in Canada for over 15 years, Carmen understands the challenges of relocating to a new and unfamiliar city, and she understands the needs of each expatriate. 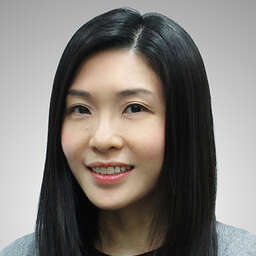 With patience and great communication skills, Carmen has helped many expat families find their new homes in Hong Kong. In her free time, she enjoys spending quality time with her two beloved dogs.